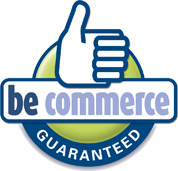 Are you (deliberately) single, but still need an arm around your shoulders from time to time? With the Boyfriend Pillow, you'll have the perfect man in bed without sacrificing independence or your reputation. Who isn't addicted to the great feeling of a strong arm holding you at night? 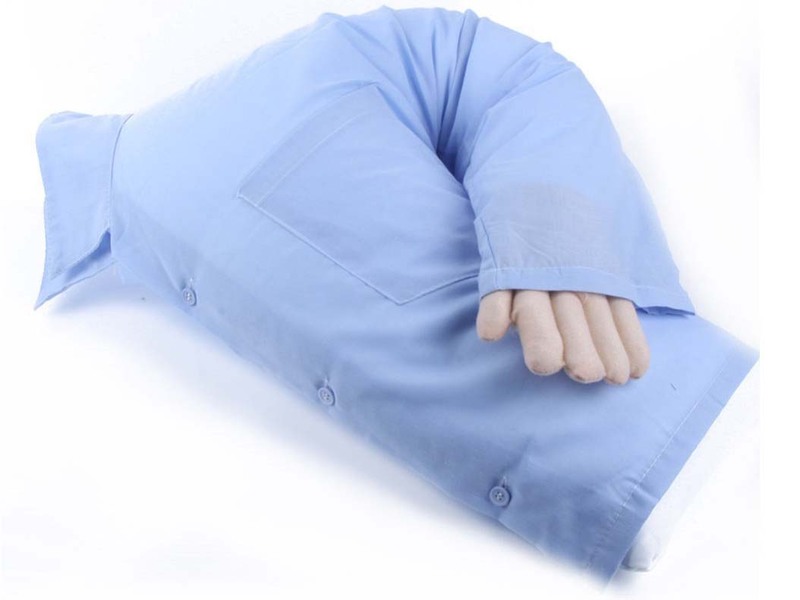 The Boyfriend Pillow is a sturdy pillow shaped like a man's torso, including arm. Not a macho man with a hairy, bare chest but an old-fashioned gentleman wearing soft pyjamas. Weight has been added to the pillow's arm to create the feeling of an actual embrace. 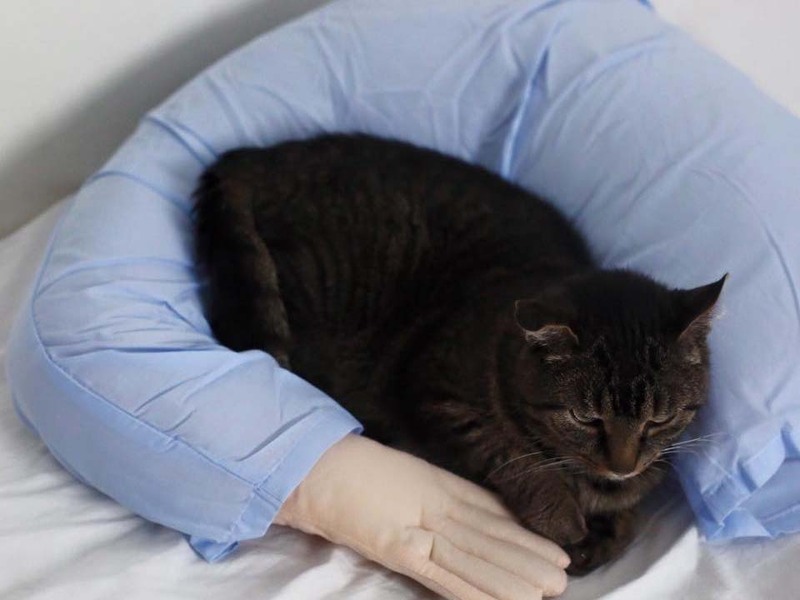 The Boyfriend Pillow is the ideal man for independent women. He is happy to adjust his schedule to yours! He is loyal as can be, you can wash him every day, he'll never pick a fight or fart in bed. And best of all... every evening when you get home, he'll gently wrap his arm around you.